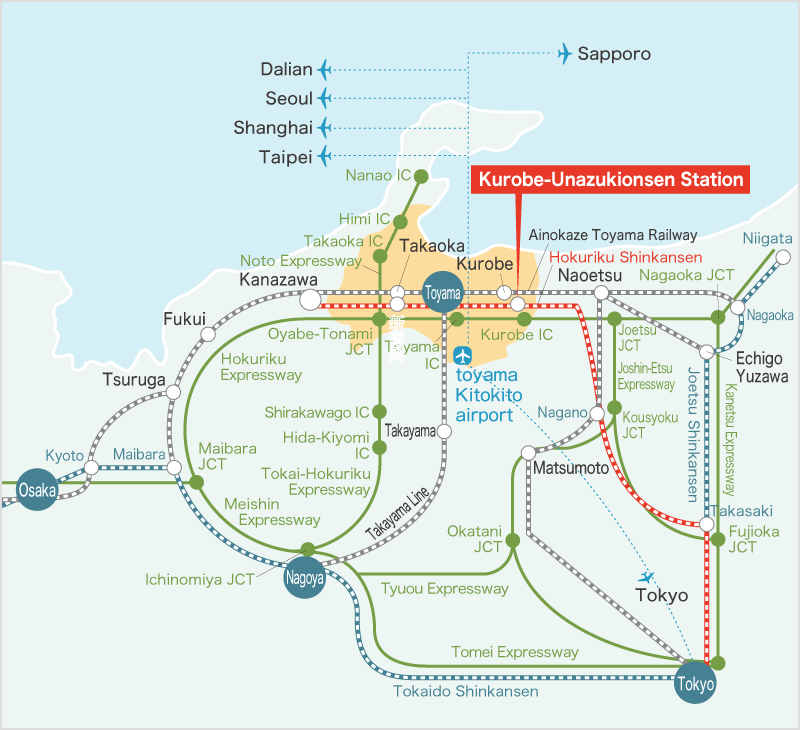 Kurobe City is located in the eastern part of Toyama Prefecture, facing the Sea of Japan. Rich in water pouring from the Northern Alps, it is famous for its beautiful scenery of water bodies and for its produce. "Toyama Chihou Railway Highway Express Bus Center"
* There are 4 flights/ day connecting Haneda and Toyama. Shuttle buses between Toyama Airport and Toyama Station run in time for departures and arrivals at the airport. 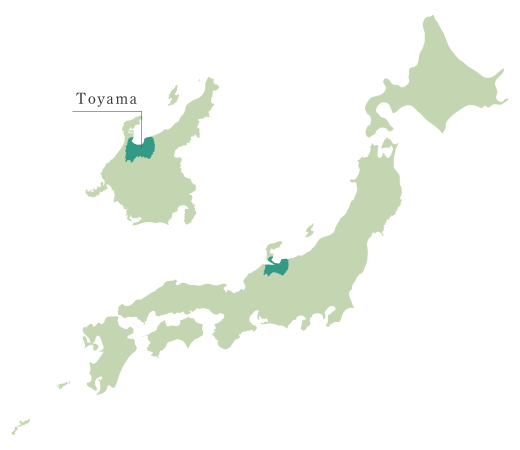 International regular flights to and from other cities such as Seoul, Dailan, Shanghai, and Taipei are also available at Toyama Airport, connecting Toyama and cities around the Sea of Japan. Copyright © Kurobe Unazuki-onsen Tourist Board All Right Reserved.